From cleaning gutters to serving cocktails, these robots are built to help you. Why clean your rain gutters when you can put a robot on the roof to do the job for you? iRobot, based in Bedford, Mass., recently came out with the Looj 330 Gutter Cleaning Robot priced at $100. It has caterpillar tracks akin to a tank and a spinning auger that tosses out gutter debris. 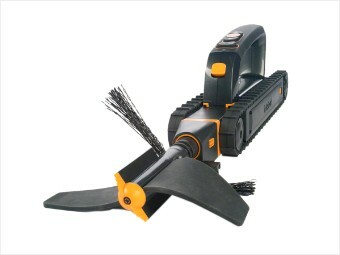 The device comes with a remote control that lets you clean the roof hands free. It's not completely autonomous: You still need to get on a ladder to place the device in the gutter.